Our private villas are fully self-contained, air-conditioned and sleep up to 4 people. 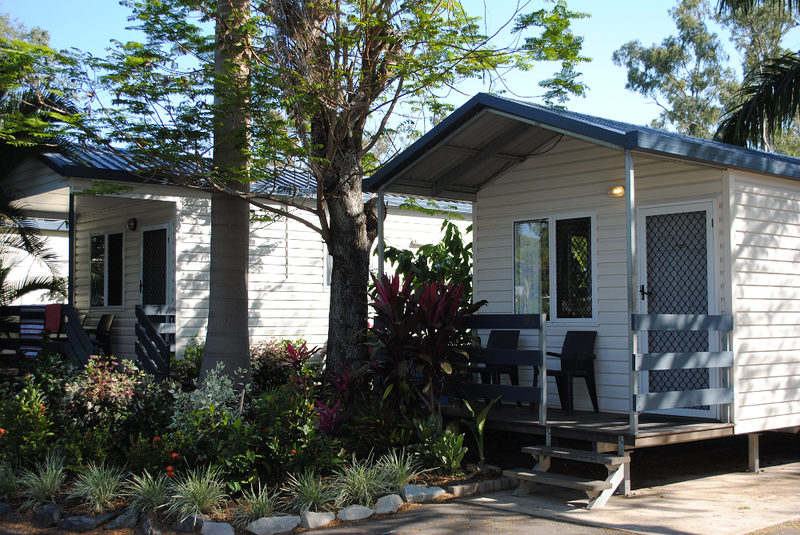 Our spacious 2 bedroom deluxe villas are self-contained, air-conditioned & sleep up to 6 people. 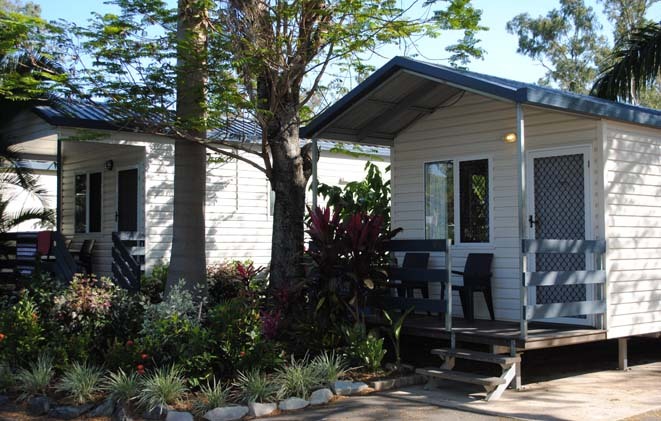 Our tourist park cabins are fully self-contained and air-conditioned & sleep up to 2 people. 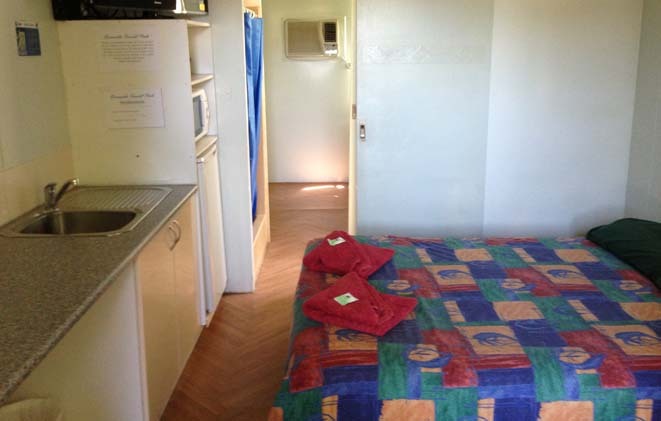 If you need a bed for just the night or a couple of days, our on-site vans are very popular. Choose from; grassed, with slab, shady, in full sun or tucked away for a bit more privacy. 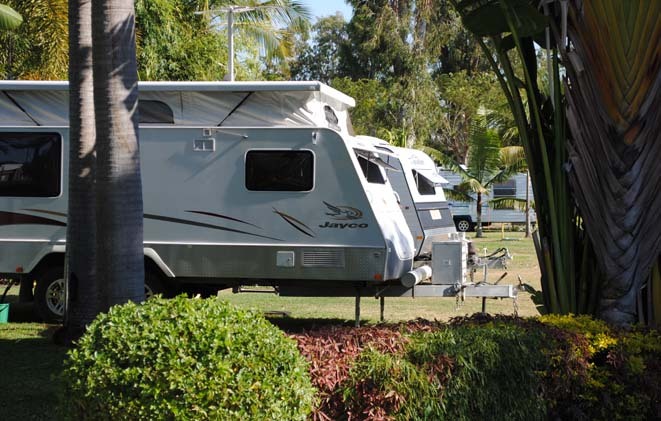 Riverside Tourist Park is set on five acres right on the banks of the Fitzroy River and only a short walk into the heart of Rockhampton's city centre. 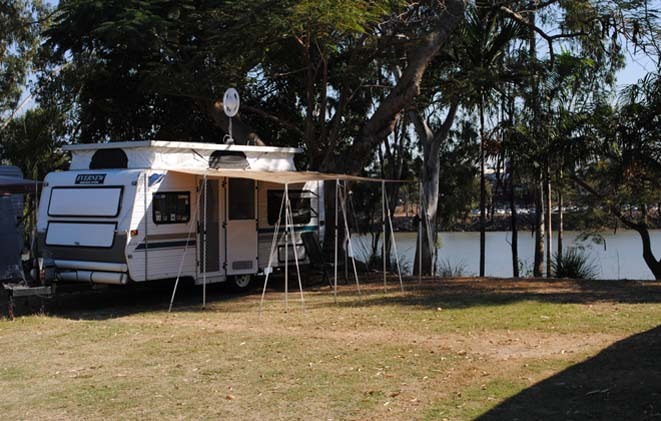 We offer unpowered & powered sites for tents and caravans, on-site vans, self contained cabins and villas catering for singles, couples, families and we also cater for your pets. If you need to leave your car and caravan in Rocky while you travel on further or to return home for any reason we also offer storage. This can be for a week, month or longer. Just call us to make these arrangements. 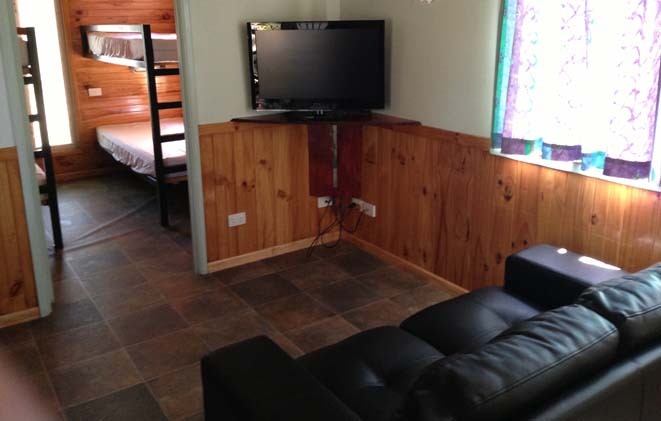 Cabins $86 p.n. 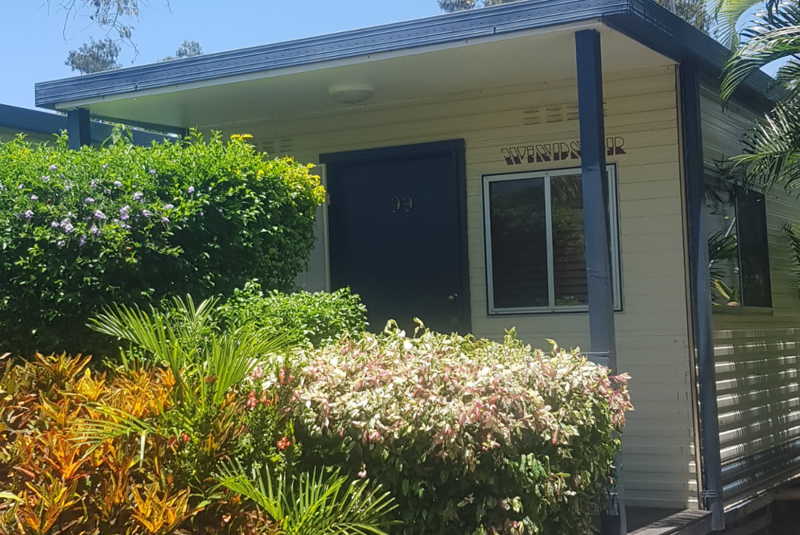 Villas from $105 p.n. Make a booking live online now. 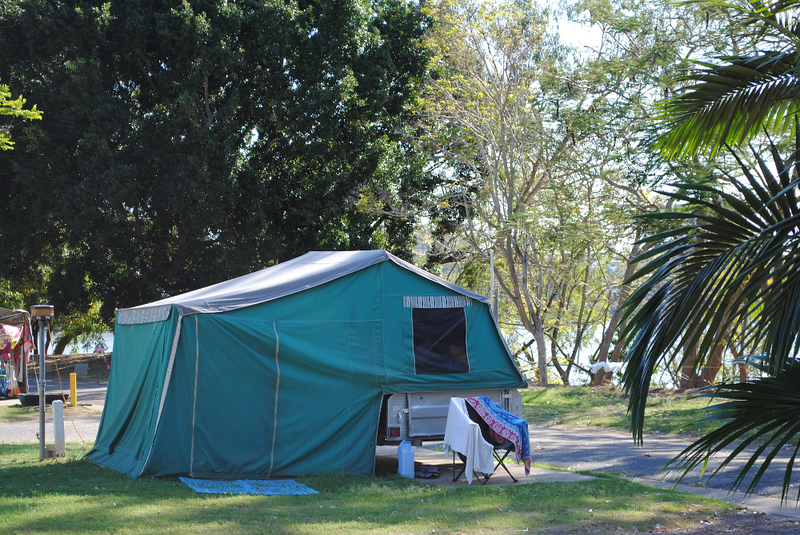 Select your accommodation and dates, then book with confidence! off our advertised full price. Also on request we have a weekly rate. to zoos and art galleries. Very friendly staff. There were 4 of us, 2 adults, teenage boy 17 and girl 14. We were only charged for 2 adults and one girl as they thought our site wasn't the best. Really great value. We were surprised to be upgraded to a Villa. It was very clean and beautiful. We felt safe and secure. We will be back. Facilities are clean and the park is easy to find (just down the street from where Google Maps sent us). You are so awesome for helping me. 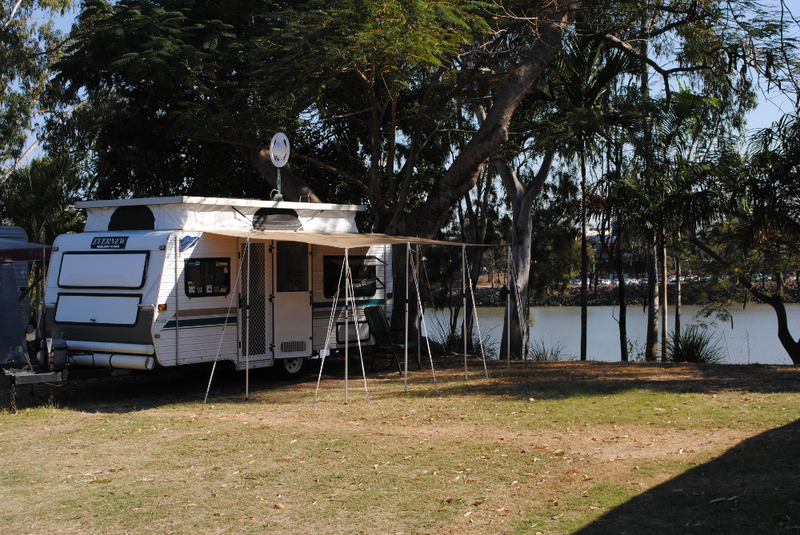 We stopped at Riverside Tourist Park on our way South, just for one night. We were planning to camp but took a cabin and it was a great option. Very clean and had everything we needed.